What had happened to the Mughals? By admin on January 31, 2016 Comments Off on What had happened to the Mughals? Daily Mail in 2015 published an article titled, “The Slumdog Princess” about the descendant of the Mughal Rulers. Sultana Begum, now 63 years old, married the great grandson of Bahadur Shah Zafar, who was the last Moghul emperor to rule India. 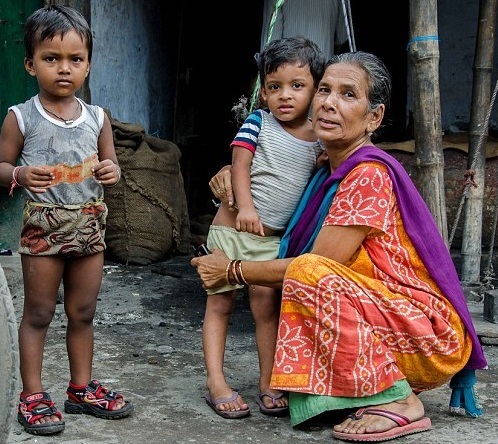 She lives in a two room hut in a shantytown in Kolkata. The hut and the locality she lives is a far cry from the luxurious palaces her ancestors have lived. Mughal history is India’s history for around 300 hundred years from the first conquest of Babur, descendant of Genghis Khan and great grandson of Tamerlane. He established an empire that would eventually dominate Southern Asia. During the rule of the Mughals, India went through a period of artistic revival. The early Mughal rulers initiated distinct style of architecture with a Persian influence. The story of Moghul dynasty began with Babur Badishah, direct descendant of Turco-Mongol conqueror Timur. Babur ascended to throne of Fergana (Today’s Uzbekistan) at the age of 12. Babur’s life as a ruler began with many setbacks. His attempts to conquer Samakand came to fruition many times but enemies recaptured Samarkand from him short time after his conquest. At one stage he lived in poverty and humiliation and without a country to live in or rule. After losing Samarkand for the third time, Babur turned his attention to creating an empire in north India. Babur started his conquest with Afghanistan. In 1524, Daulat Khan Lodi, a rebel of the Lodhi dynasty, invited Babur, to overthrow Ibrahim Lodi and become ruler. Babur defeated Ibrahim Lodi at the First Battle of Panipat in 1526 and founded the Mughal empire. Babur invaded northern India, ransacked Delhi and setup his capital in Agra. 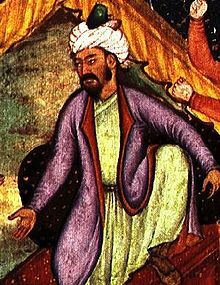 Babur died at the age of 47 leaving his empire to his eldest son Humayun. At the time of Humayun’s death the Mughal empire spanned almost a million square kilometres from Afghanistan to most of North India. But life was not a bed of roses for Humayun. Early in his reign he lost his kingdom. Humayun had to fight his enemies as well as his brothers. In those wandering years Akbar was born on 15 October 1542. Akbar was left behind in a camp close to Kandahar and was nurtured by Humayun’s Brother’s family until he turned ten years old. After losing his Kingdom to Shersha Suri, Humayun took refuge in Persia with the Safavid Empire. Fifteen years later with the help of Persians, Humayun wrested control of Afghanistan from his brother from there he retook Delhi. In a very short time he extended his empire to other parts of India. On 27 January 1556, Humayun fell to death from the stairs of his library. During Akbar’s reign Mughal Empire tripled in size and wealth and he proved himself as a good general and a good administrator. Akbar though was an illiterate, was wise and learnt. Akbar was enthroned at the age of 13 and his General Bairam Khan ruled on behalf of him until he came of age. Akbar was wise enough to know that, to rule an empire which has a non- Muslim majority, he has to appease the majority community. Despite the opposition from orthodox Muslims, Akbar liberalised laws and repealed the taxes that penalised non- Muslims. Akbar cemented his authority by marrying woman from territories he conquered. Akbar is estimated to have had 300 wives and to have supported a harem or Zenana of 5000 people. 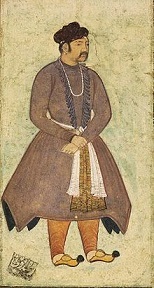 Jahangir ruled the Mughal empire from 1605 until his death in 1627. Jahangir expanded the empire beyond what he inherited and was an able administrator. Because of the political stability enjoyed during his reign, art and trade flourished under him. With the exception of his hostilities with the Sikhs, Jahangir was generally tolerant towards other religions. He continued his father Akbar’s liberal policies towards non- Muslims. It will be improper to mention East India Company at this stage. The East India company was established after receiving a Royal Charter from Queen Elizabeth on 31 December 1600. In 1608, the first East India Company ship arrived in India. In 1612 East India Company had gained foothold in Mughal Empire by repulsing a Portuguese fleet just off Surat. During that period a Portuguese representative at the Mughal court backed by powerful Mughal bureaucrats had drafted an agreement that would ban British trade in the Empire. But Jahangir was yet to sign it. In 1612, King James I instructed Sir Thomas Roe to visit the Mughal Emperor Jahangir for a treaty that would give the company exclusive rights to build factories and Surat and other areas. It took two months for Sir Thomas Roe and party with gifts for the Emperor to reach Ajmir to meet the Emperor. Jahangir welcomed the visitor and reassured him that Mughal Emperor and the English King were brothers. Roe’s impression of the Emperor was that “he is very affable and of cheerful countenance without pride and full of gentle conversation”. Thomas Roe could not secure a formal treaty. Jahangir was initially indifferent to Roe’s mission and the trade with the British did not interest him. The British did not produce anything that his people wanted other than silver. The Emperor was pleased with the gifts he lavished at him and courtiers. When he returned to England in 1619, he carried a letter from Jahangir to King James 1, which promised fair treatment for British Merchants and freedom of movement for their ships. For James, Jahangir sent two antelopes, a tent and several beautiful carpets. Jahangir never had the slightest intuition that one day these white people will spell doom for the empire he painstakingly expanded. Shah Jahan is considered as one of the finest Mughal emperors. He reigned the empire from 30 January 1628 – 31 July 1658 (30 years 193 days). Mughal empire continued to expand moderately during his reign. He is still remembered for constructing Taj Mahal. The Mughal Empire reached its peak during his reign. He reversed many of Akbar religious tolerance policies and began to impose Sharia provisions for the construction of non – Muslim places of worship. 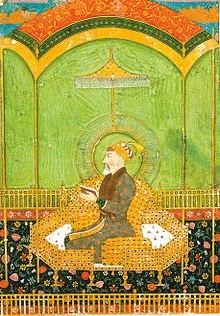 After Shah Jahan fell ill in 1658, his son Aurangazeb exerted his authority, and placed Shah Jahan under house arrest. He was the Mughal Emperor from 31 July 1658 to 3 March 1707. He ruled over a population estimated to be between 100 to 150 Million. His intolerance towards other religions contributed to the downfall of the Mughals. He made a departure from his predecessors by marrying only Muslims and reinstated taxes on Hindus. Non Islamic ceremonies and celebrations were banned and court musicians and artists were dismissed. He was the last of the great Mughals. Azam Shah, was the titular Mughal emperor, who reigned from 14 March 1707 to 8 June 1707. 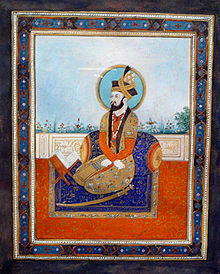 After Aurangzeb’s death, Azam Shah proclaimed himself Emperor and seized the throne. Azam Shah was considered as a wise and able man. Soon after his ascend to power political struggles began for power. Azam Shah and his son Bidar Bakt were defeated and killed in the Battle of Jajau by Azam’s step brother Prince Muhammad Mu’azzam. Prince Muhammad Mu’azzam, became the 7th Mughal Emperor as Bahadur Shah I after killing his step brother and emperor Azam Shah. He ruled until his death five years later. As a young prince organised many insurgencies to over throw his father Aurangazeb and as a result was imprisoned many times. After becoming the Emperor, he annexed Rajput states of Amber and Jodhpur without any bloodshed. 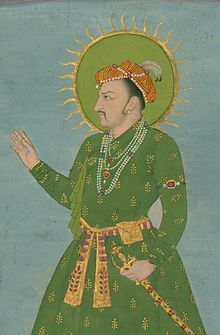 Bahardur Shah died after his health failed on 28th February 1712. Jahandar Shah, Son of Bahadur Shah succeed him for a very short period. He was defeated in the battle at Agra on 10 January 1713 by Farrukhsiyar, his nephew with the support of Sayed brothers. He was captured and confined for a month. On 11th February 1713 he was strangled to death by professional killers. Syed Abudullah Khan Barha and Syed Hussain Ali Khan Barha are known as Sayed brothers who were powerful Mughal Army generals of the Mughal Empire during the early 18th century. They were highly influential and became kingmakers after the death of Aurangazeb. Farrukhsiyar was a puppet of Sayed brothers who helped him secure the throne. Behind their back Farrukhsiyar was actively engaged in overthrowing Sayed brothers from their influential positions. During his reign Sikh leader Banda Singh Bahadur defeated almost all Mughal rulers of Punjab and captured large territories of the Mughals. In 1717, that the British East India Company purchased duty-free trading rights in all of Bengal for a mere three thousand rupees a year. Farrukhsiyar tried to bring down Sayed brothers through a military strike which did not succeed. Finally, Sayed brothers deposed him as the Emperor and placed his first cousin Rai Ul Darjat on the throne. Farrukhsiyar was imprisoned, starved and blinded by Sayed brothers. He was later assassinated at the Red Fort. Rafi ud-Darajat was proclaimed as emperor by Sayed Brothers. On 18 May 1719, Rafi Ul-Darjat’s uncle, Nekusiyar, assumed the throne at the Agra Fort. Nekusiyar was soon defeated by Sayed brothers. Rafi Ul-Darjat died of Lung Cancer or was murdered at Agra on 13 June 1719. He was succeeded by his brother Rafi ud-Daulah. Rafi ud-Daulah came to power for a brief period in 1719 as Shah Jahan II. He is believed to have died from Tuberculosis. Muhammed Shah was the fourth son of Bahadur Shah I. Though he ascended to the throne with the help of Sayed brothers. He managed to get rid of them soon. Sayed brothers, Hussain Ali Khan was murdered at Fatehpur Sikri in 1720 and Sayed Hassan Ali Khan was poisoned to death in 1722. During his reign Mughals were weakened by the Marathas. The First Battle of Delhi or The Raid of Delhi took place on 28 March 1737 between Maratha Empire and the Mughals. On 28 March 1737, Maratha Army lead by Bajirao, reached Delhi. Bajirao and his men plundered the countryside. An eight thousand strong Mughal army led by Mir Hassan Koka did try to take on Bajirao, but they were hopelessly outmanoeuvred. The emperor was hiding in the Red Fort. The Marathas captured large territories of Mughals. By 1757 Marathas became the defacto rulers of Delhi. 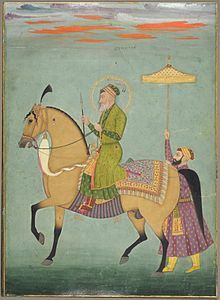 To make matters worse 1739, Nader Shah invaded the Mughal Empire, and defeated Muhammad Shah during the Battle of Karnal in less than three hours. He sacked and looted Delhi and occupied much of the northern regions of Mughal Empire. Mughals were completely looted of their wealth and rebellion and disloyalty became common place. From this point onwards, Mughals occupied Delhi as much weakened rulers who did not possess any real power. Muhammed Shah died on 26th April 1748 due to grief after learning that his Grand Vizier Qamaruddin Khan died in the Battle of Manipur. He became emperor at the age of 22 and remained as emperor for six years. He had a weakness for women and spent most of his time in harem without showing any interest in administration. In fact there were not much territory left for the emperor to rule over. During his reign Mughals lost more territory to the Marathas. He was deposed by the Vizier Feroze Jung III and was later blinded. He spent the remaining years of his life in prison and died of natural causes in January 1775. He was the second son of Jahandar Shah and became emperor at the age of 55. He was a weak ruler and had no experience in administration as he had spent most of his time in jail. He was placed on throne by Feroze Jung III after he disposed Ahmad Shah Bahadur. The relation between Feroze Jung III soon became worse. By then The Marathas became the de facto rulers of Delhi. Alamgir II was murdered by Feroze Jung III and the Maratha leader Sadashivrao Bhau. In 1756, Ahmad Shah Abdali invaded India once again and captured Delhi and plundered Mathura. This further weakened the power of the Mughals. He was the grandson of Aurangazeb’s youngest son Muhammad Kam Baksh. Feroze Jung III placed him on the throne but was deposed by Maratha Sardars soon. Shah Alam II was the 18th Mughal Emperor reigned from 10 October 1760 to 19 November 1806. Mughal Empire’s authority depleted during his reign to such an extent that it gave way to a saying, ‘The kingdom of Shah Alam is from Delhi to Palam’. Shah Alam II ruled under the suzerainty of the Marathas. By circumstances, he also had to fight the British East India Company during the Battle of Buxar. The British had forced their puppet Mir Jafar, the Nawab of Bengal to abdicate in favour of his son in law, Mir Kasim. In return the British claimed three of his main districts and a third of his revenues. Mir Kasim took up arms against the company in 1763 and the Company’s army drove Mir Kasim from throne. Mir Kasim appealed for help from the Nawab of neighbouring province of Oudh and his guest at that time Shah Alam II. The British army prevailed in the Buxar War. Robert Clive who was in London at that time was asked to take charge of the company affairs in Bengal. Under the treaty of Allahabad, the Shah Alam II turned over the company the vital function of its diwan, or revenue collector for Bengal, Bihar and Orissa. With this Robert Clive claimed that virtually the whole of Mughal empire is in their hands. But the most humiliating incident happened in 1788. The known enemy of Mughals, the grandson of Najib Khan, Ghulam Qadir ransacked the Emperor’s palaces in search of Mughal treasures. Unable to find the treasure, Qadir blinded Shah Alam and beheaded the servants who tried to help the emperor. Qadir further insulted the emperor by pulling his beard and forcing the princesses from the harem to dance naked before him. After ten horrible weeks Mahadaji Shinde intervened and killed Ghulam Qadir, taking possession of Delhi on 2nd October 1788. He restored Shah Alam II to the throne and acted as his protector. The Emperor died of natural causes on 1806. Akbar Shah II was the second son of Shah Alam II. He really did not have any authority as the Mughal empire has shrunk to Delhi and its surroundings. In 1835 the British reduced his authority from Emperor to The King of Delhi. During his reign, The British discontinued calling itself the lieutenant of the Mughal Empire and stopped issuing coins in the name of the Mughal Emperor. He died on 28 September 1837 and was succeeded by his son Bahadur Shah Zafar. The book “The Last Mughal “, authored by William Dalrymple paints a portrait of the last Mughal emperor Bahadur Shah Zafar. The book goes into detail the last days of the Mughal Capital Delhi and its final destruction in the catastrophe of 1857. This is an extraordinary book and a must read for anyone with even slightest interest in Indian History. The following part of the article is based on the above said book. Bahadur Shah Zafar came to power in his mid-sixties and by then the British have progressively took over more and more of the Mughal’s power base. The British records described him as a benign old man with impeccable manners. Widely considered as the Chessboard king, Bahadur Shah Zafar was a revered figure but never enjoyed real power. His real authority was only inside the walls of Red fort. Even that was not true. The real authority within the Red fort was in the hands of British Resident Sir Thomas Metcalfe. To rent his own land to someone Zafar had to make application to the British Courts. He did not even had the authority to present gems or valuables to his own family members without the permission of the British Resident. As the British power grew in India, British were waiting for a perfect opportunity to prepare Mughals for the imminent extinction of their line and take full control of Delhi. For the British the 1857 Sepoy uprising offered a perfect opportunity. On 11th May 1857, three hundred mutinous sepoys and cavalrymen from Meerut rod into Delhi on their way massacring every Christian and British men, woman and children and declared Zafar to be their leader and emperor. The King never had any prior information about the uprising or in any way connected with it so he was taken by surprise like the rest of his subjects. The rebels went straight to Zafar’s palace and sought his blessing to strike against the British. Zafar had no treasury or any money to feed the sepoys or help the rebels in any materialistic manner. Reluctantly Zafar had to give into their demands. At his Queen Zinat Mahal’s suggestion Zafar had sent a camel messenger a secret letter to the British Governor of Agra telling him what is happening in his palace and asked him for suggestions. The Sepoys were acting in a ruthless manner inside his palace and they had no idea of manners or courtly etiquette. Zafar did not have any faith in these sepoys and never thought they could defeat the British. But in some corner of his mind, he held a hope that this is an opportunity sent by God to re-establish the great Mughal dynasty. After Zafar gave his half-hearted blessings to the uprising, it gained the support of ordinary men and woman and also the Muslim Jihadis who wanted to liberate the Kingdom from Kafirs. Most of the Sepoys were Hindus. The Queen Zinat Mahal apparently calculated that the British would soon return and rout the Sepoys and saw an opportunity there – if the royals put their loyalties behind the British that will make the succession of her son Jawan Bakt to the throne easier. She was against the emperor’s support to the uprising. Zinat Mahal was at the other side of the city in her haveli in Lal Kuan, was negotiating with the British though Major Hodson’s intelligence chief Maulvi Rajab Ali. She was in touch with the British since August putting out feelers and hoping to be able to come to terms in return for certain conditions being met. She finally managed to strike a deal with Hodson. On 18th September a letter Hodson wrote to Zinat Mahal guaranteed the lives of herself, her son Jawan Bakt , her father Mirza Quli Khan and the Emperor . Zinat purposely excluded the other sons of the Emperor. By August that year, the little gains the rebel made were reversed and the British were having an upper hand. It became clear for the Emperor that his dynastic rule has nearly come to an end and the British are not going to forgive him for extending his support to the rebels. As the British suppressed the rebels, on 17th September 1857, Zafar quietly slipped out of Red Fort without telling anyone to avoid any bloodshed. He was with a few attendants and carried with him only a selection of his ancestral treasures. He made his way to the great Sufi shrine of Nizamuddin . Zafar had handed over his treasures to the Nizami family for safe keeping. The box he carried also contained three sacred hairs from the beard of Prophet Muhammed, which was in the possession of the House of Timur since the 14th Century. 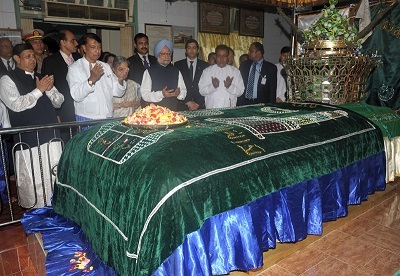 He was joined by Queen Zinat Mahal at Nizamuddin. Then they together headed to the Mausoleum of Humayun. On the Night of 20th September 1857 Major Hodson was informed about the presence of the Emperor at Humayun’s Tomb. Hodson went with cavalry men to capture the King. After negotiations which guaranteed that King would not be subject to dishonour or any personal indignity Zafar surrendered to the British. Zafar was taken as a state prisoner. The next day, three princes Mirzas Mughal, Khizr Sultan and the emperor’s grandson Abu Bakr were captured from Humayun’s Tomb, stripped naked and shot by Hodson. Their bodies were taken away and left out naked in front of the Kotwali, where British troops queued up to see them. British had started their work of retribution shooting and hanging on a mass scale. The British also looted the city completely. They nearly razed the city down. By the end of January 1858, all the noble men of Zafar’s durbar were tried and hanged and the trial of the emperor began for treason and revolt. In response to the charges laid Zafar’s defence was short and written in Urdu. He denied to have any connection with the upraising and maintained that he all along been the helpless prisoner of the Sepoys and he had no intelligence on the subject previous to the day of the outbreak. The trial dragged on for two months. On 9th March 1858, the trial court unanimously declared Zafar guilty of all and every part of the charges preferred against him. Zafar was sentenced to be transported to a remote location for the remainder of his life. There followed a seven-month delay since the verdict to find a suitable place for his exile and suitable time for safe commute. On 7th October 1858 the royal prisoners started their journey towards Rangoon in Burma. The Emperor, his Queen Zinat Mahal, his two younger sons – Mirza Jawan Bakt and Shah Abbas, the wife of Jawan Bakt, Shah Zamani Begum and their attendants boarded the ship Magara on 8th December 1858. Zafar died on 7th November 1862 and was buried on the same day. It took nearly two weeks for the news to reach Delhi and no newspaper carried the news of his death. The rest of the family carried on with their wretched existence in most pitiable conditions. 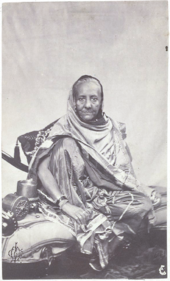 Shah Zamani Begum, the wife of Jawan Bakt who was only fifteen at the time of the exile has fallen into depression, by 1872 she was fully blind and was described as an object of pity by the British. Mirza Shah Abbas married a girl from Rangoon, the daughter of a local merchant. His descendants still live in Rangoon. Zinat Mahal lived separate with three servants in a rundown house. She was addicted to Opium in her final years and died in 1882, twenty years after the death of her husband. In 1884, Mirza Jawan Bakt died of heart attack at the age of 42. 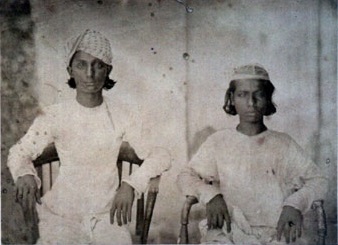 Mirza Jawan Bakht’s son Jamshed Bakt had two sons, Mirza Sikandar and Bedar Bakt. The Sultana Begum mentioned in the beginning of this article is the wife of Bedar Bakt. In the 1920s Maulana Azad and Subhash Chandra Bose lobbied the British to allow Bedar Bakt to return to India from Rangoon. The British agreed on one condition that Bedar Bakt should not publicise his Mughal roots. Bedar Bakt was brought to India hidden in a basket of flowers. Bedar settled in Calcutta and the British granted him a pension of Rs 10 in 1920’s. Later the pension was increased to 16. Bedar and Sultana had six children. There are many sceptics to this story who think, Sultana Begum is a fake. Bahadur Shah Zafar was believed to have 22 sons and 32 daughters and it is said that many of his descendants live in India, Bangladesh, Pakistan and Burma. Many have claimed their stake in the Mughal lineage in the past fifty years. In 1907, succumbing to demands from various corners, The British Government, erected a simple engraved stone slab marked, “Bahadur Shah, Ex – King of Delhi. Died at Rangoon November 7th 1862 and was buried near this spot”. Today this is a popular place of pilgrimage for Rangoon’s Muslim Population and Zafar is regarded as a Sufi saint. 0 Responses to "What had happened to the Mughals?"